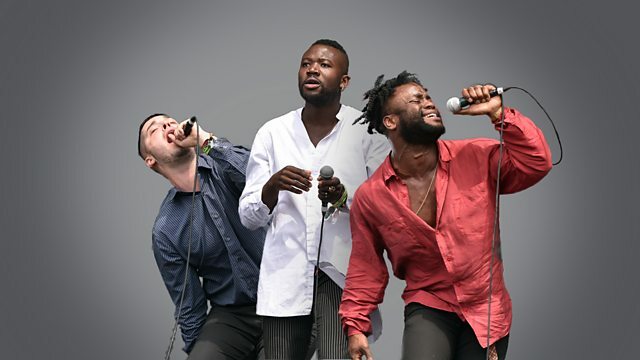 Young Fathers sit in for Iggy Pop with a two hour mixtape of tunes ahead of their performance at The Biggest Weekend. Young Fathers sit in for Iggy Pop with a two hour mixtape ahead of their performance at The Biggest Weekend. Taking you on a journey from the lyrical consciousness of The Black Poets, through the world of hip hop and right over to the cinematic sounds of Ennio Morricone. Formed in Edinburgh in 2008 by Alloysious Massaquoi, Kayus Bankole and Graham 'G' Hastings. They signed to Big Dada Records and released their debut album, Dead, in 2014. The album gained a lot of critical attention and went on to win the prestigious Mercury Prize. Their second album, White Men Are Black Men Too, followed in April 2015 and this year saw the Ninja Tune released third album Cocoa Sugar. The Dirty Story: The Best Of ODB. A selection of shows and clips to celebrate our live music extravaganza.